The genius team behind the Inedible Jewelry line want to share their charming secrets! Yep, the oh-so cute accessories created by Jessica & Susan Partain featuring all foods under the sun will soon be exposed in a how-to book. This Autumn we'll all be able to try our hand at creating our own jewelry menu. 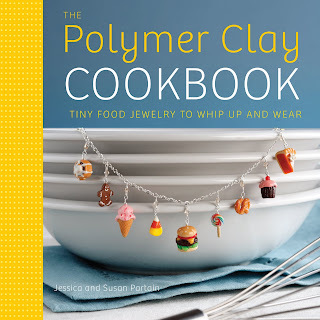 'The Polymer Clay Cookbook' will be released in October but pre-orders are available now from Amazon.com. Finally, a fun & fat-free reason to hang out in the kitchen!